Months ago my 9 year old son told me that he’d like to do a “challenging race” with me. Both my sons have run 5K’s and other shorter distance races and have seen me complete some difficult races over the years so it wasn’t too shocking that he’d ask. Since he’d never run more than 3 miles in his life, I signed us up for an 8 mile trail race at the end of April. We did a few training runs to build his confidence and as the day approached I envisioned a nice day of sunshine and trail running with my boy. The one factor we didn’t consider was that this was April in Colorado. 48 hours before the race it began to snow and it continued on and off until race time. 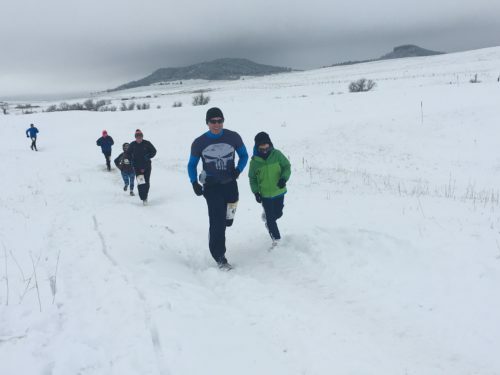 Our race ended up being 8 miles through 9 inches of snow, 25 mile per hour winds and 20 degree temperatures. Though to many that would understandably sound miserable it turned out to be an amazing day. When I crossed the finish line with my son I had tears of pride at his accomplishment. Watching him compete in the elements also reminded me of certain life lessons that I hold dear. Today I’d like to share a few of those with you. Don’t underestimate how your journey will motivate others. My son was the youngest competitor in the race by 10 years and yet time and again I saw him impact others. Several people told him how they wanted to start running with their children, one woman shared a touching story from her past with us after seeing him and near the finish line he had the loudest cheers and many people came over to congratulate him with smiles on their faces. This was a reminder to me that although we tend to view ourselves as “normal” we are constantly having an impact on those around us when we do the right things. Don’t complain, stay positive. Even with the difficult conditions and physical strain he was under during the race, my son never complained once. I’m a believer that complaining only makes challenges seem worse. Had he decided to complain it would have only made us feel colder and the race longer. Instead we talked about things that made us happy or laugh which made a potentially tough time seem fun. In fact we went 2 full miles as small pieces of hail pelted us head on in high winds while I listened to him excitedly talk about a video game! Avoiding the urge to complain and instead applying positivity to your daily life will take you out of the tough moments and propel you toward greater things. Persevere and win by attrition. Many victories in life are attained simply by pushing through when others give up. My son won 3rd place in the 19 and under division. That was 3rd place out of the 3 people that ran and his time was double that of the second place finisher. However, there were dozens of other competitors in that same division that didn’t show up because of the treacherous conditions on race day. On a day with perfect weather he likely wouldn’t have been near the top but suiting up and showing up when others wouldn’t made the difference. Life often works the same way. Talent and ability will only take you so far, the rest will require an ability and willingness to overcome challenges when others won’t. Regardless of profession, there will always be things that help you to stand out within your field. Chiropractic is no different. Today I would like to share some things my patients tell me helps make the chiropractic experience in our office great. Being a good listener. I was taught early in chiropractic school that if you take the time to listen, people will tell you exactly what is wrong with them. I believe that the healing process begins when a patient starts to tell me their history. I want each of my patients to feel heard and know that I care while giving me the information I need to begin helping them. Accurate diagnosis. Many chiropractors will begin treating a patient after performing no examination or testing. Accurately diagnosing a patient’s condition is vitally important however. Therefore, I perform a thorough initial evaluation and often (not always) x-rays to develop a very clear picture of what condition the patient has. Arriving at a specific diagnosis avoids guesswork and allows me to get my patients better results much faster. Information. 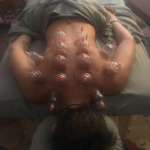 My approach for educating my patients is simple – I want them to have a basic understanding for what is occurring with their body in order to empower them to help themselves when they’re not in my office. As patients feel increasingly comfortable they may have more health questions and I enjoy sharing my experience and knowledge to answer those as well. Excellent technique. The quality and effectiveness of a chiropractic adjustment varies greatly from doctor to doctor (I get adjusted by many doctors and know this first hand). I have a variety of techniques at my disposal but believe strongly in sticking to basics because they work. I use proven, hands-on techniques that produce quick results over gadgets or fads. Individualized care. When I first got into practice I noticed that many chiropractors often handed out identical treatment programs to everyone and anyone. Personally, I customize a plan for each patient based on the severity of their condition, their personal goals and overall level of health. Convenient. Our office is designed with the convenience of our patients in mind. Everything from our paperwork to same-day appointments to having our phones answered 24 hours a day is designed to make coming to our office a great experience. Experience with different conditions and case types. One of the things I take pride in is being able to help a very diverse group of patient types. Specifically, I have extensive experience in pain relief, pediatrics, pregnancy care, working with athletes, dealing with all age types and helping those that have suffered traumatic injuries. Integrative. In certain cases, chiropractic care alone may not be enough to correct a person’s condition. I pride myself on knowing when to recommend things such as acupuncture, massage or rehabilitative exercise. When necessary I also make referrals for additional testing such as MRIs or further evaluation with another type of doctor. I always want my patients to feel confident that I will do whatever necessary to help them get well. The time of New Year’s Resolutions is nearly upon us. Resolutions are often made but rarely kept, usually because there is no series of action steps in place to achieve them. More effective than resolutions are repeatable processes. Below are some of my favorites for creating a better you and a thus a better year. 1. Win your morning. A chaotic morning can lead to a disjointed day. To avoid this, start the day in control. Wake up at least 30 minutes earlier than normal, don’t use a snooze button and make your bed before leaving home. I’ve heard this recommended by many successful people and have found it effective myself. 2. Get started. People often waste days, weeks, months or even years waiting to begin something they know they should be doing. Ultimately this leads to wasted time, stress and unhappiness. Avoid “paralysis by analysis”, get started and you’ll begin seeing results. 3. Prioritize. The achievement of your goals is what ultimately matters, not being “busy.” Focus on the most vital tasks and activities before worrying about smaller, less important things. This will keep you focused, reduce stress and lead to greater accomplishments. 4. Try a new approach. Desiring a new outcome while utilizing methods that have been proven ineffective never works. Instead, alter your approach and habits. As you do so you will receive feedback that can be used to make better decisions and create more efficient processes going forward. 5. Feed your mind. Much like your body requires physical exertion; your mind likewise needs stimulation. Unlike the body however it is often neglected. Meditation, spending time around positive people, reading and learning new things are all examples of ways to stimulate your mind. 6. Spend more on experiences than “stuff.” A person only needs so many things. Usually the more we acquire the less we care about what we have. However, experiences stay with us and can change us for the better. Whenever possible put your money toward experiences. 7. Embrace discomfort. Whether physically or mentally, no one likes being uncomfortable and yet that is often where the most growth and success comes from. Personally I grew the most after a divorce and starting over on my own. Physically I grow the most after races where I’ve had to battle through pain, elements, hypothermia other trying conditions. If you can embrace discomfort you’ll find that things you once saw as difficult or impossible no longer are. 8. Move your body more. I believe everyone should be active in some fashion each day. Regardless of schedule, we can all commit at least 5-10 minutes to some form of exercise or physical activity. If you don’t want to go to a gym then find something to do in your home or outdoors. I have days that I perform strenuous gym workouts or runs but on days that I don’t I often hike with my family or do pushups and burpees for 10 minutes at home. As a chiropractor I assess people’s posture on a daily basis. In fact, I begin each examination with a basic postural evaluation. As I do this, I would estimate that 7 out of 10 people comment on how bad their posture is or has gotten. Today I’d like to discuss 4 crucial points I often share with my patients regarding posture. 1. Posture is your signal to the world – it tells a story about you whether you intend it to or not. Statistically speaking, when we meet someone we assess them within the first 90 seconds. Therefore, in most cases within a minute and a half we have made impressions of potential friends, clients or business colleague either positively or negatively. Poor posture can make us appear less approachable, not as confident, disinterested or create other unintentional negative signals that may not even be accurate. How confident do you think you appear as you deliver a presentation at work or as you approach that man/woman you’re interested in if your shoulders are hunched forward and your head is down? When you’re at a networking event and you’re slouching and leaning to one side do you think you’re appearing attentive and interested? The point is that your posture is telling a story every second that can either help or hurt you. Great posture will help better convey to the world your true self. 2. Certain aspects of our posture are completely under our own control. Sitting up straight, slouching less and or not having our heads forward staring into computer screens/mobile devices are examples of things we should do to improve posture. What I recommend for my patients positions are “postural checkpoints.” For example, if you find your posture is worst when you’re working on your computer try and train yourself to re-check your posture every 10-15 minutes. After a week or so it will become like second nature and you’ll notice that you’re no longer slouching or staring into your screen as you were previously. 3. Poor posture can lead to serious problems. Bad posture on a daily basis trains your body to remain in those poor positions. This places tremendous amounts of stress on your spine which in turn aggravates your nerves and causes pain and poor function. As an example, people with poor posture affecting their neck often end up with headaches or numbness and tingling into their arms or hands. Postural issues are much more than aesthetic; they can affect your neuro-musculoskeletal system in significant ways. 4. A chiropractor can help with posture. I always like to begin by giving my patients advice on improving their posture. For example, I may start by telling them to keep the breast bone up as this helps the neck, shoulders and hips naturally move into better positions. However, bad posture often comes from poor spinal alignment and/or a weak spine. In other words, the poor posture is a sign of an underlying spinal issue. For these patients I do a thorough postural and spinal check (including x-rays if necessary) in order to identify the problems causing the postural problems and then offer a plan to correct them. In my experience, even a single chiropractic visit often brings immediate and dramatic improvements to posture. As a chiropractor neck pain is something I deal with daily. As a result I’m frequently asked what can be done to reduce it. Today I’ll discuss 7 things I’ve found most effective for reducing neck pain. 1. Computer ergonomics. Neck muscles are small and designed for regular motion – looking up, down, side to side, etc. When they remain in a single position for too long they are forced to carry a greater load than what they’re designed for. Staring into computer screens for hours at a time is the most common culprit for this these days. The fix: Sit with your shoulders back, head in a neutral (not forward) position, use a bigger monitor and make sure your monitor is in front of you and not to one side. 2. Devices. These days most of us have smart phones or tablets that we use regularly (often too regularly). When reading or playing on them we usually do so with our heads bent forward. This puts significant strain on the muscles and vertebrae of the neck leading to potential problems. The fix: Rather than bringing your head down toward the device, bring the device up toward you so that you can look at it without bending the neck. This will eliminate neck strain. 3. Sleeping position. Another frequent cause of neck pain is a poor sleeping position – often using either too many pillows or too few. This places minimal stress on one side of the neck while applying significant stress on to the other. Signs of this are difficulty falling asleep due to discomfort and/or pain upon waking. The fix: A pillow with a cervical contour or simply sleeping with a pillow sized so that your neck muscles feel relaxed on both sides when lying on it will help. Also, avoid sleeping on your stomach as this requires your neck to be turned to one side which will inevitably cause problems. 4. Stretch. In my experience while people often take time to stretch their backs, few stretch or loosen their neck muscles. This can lead to tight muscles, lack of mobility and often pain. The fix: First, perform basic range of motion a few times throughout the day by simply moving your head and neck forward to back, side to side and then tip it from side to side. Next, do these same ranges of motion against resistance. For example, as you rotate your head to the right, do so into your right hand which is applying gentle pressure toward the left. This helps strengthen the muscles of the neck. 5. Posture. If you look at pictures of yourself you may notice that you have a tendency to have your head forward or tipped to one side. These poor positions are common and apply undue stress to the muscles and vertebrae of the neck and upper back leading to pain and other issues. The fix: Start by drawing your breastbone back to improve your posture, this will keep your shoulders, head and even hips in a neutral, healthier position. Second, I recommend “postural checkpoints.” These are mental prompts you create for yourself to help monitor your posture. For example, if you tend to slouch while driving, create a checkpoint when you stop to remind yourself to “sit up straight.” After a week or two these become automatic and help decrease neck pain (and other pains as well). 6. De-stress. Stress has a negative effect on muscles making them tighter, less mobile and often sore. This is particularly true for the muscles from ranging from the neck down through your middle back. The fix: There is no one cure for stress but in general things such as meditation, exercise, spending more time with people that build your confidence/make you happy, creating “me time”, having a hobby and other such things are effective. 7. Checkups. As mentioned in my introduction, neck pain is something I deal with daily because of how effective chiropractic can be in curing it. Our spines our constantly pressured via many of the things mentioned in this post. This can lead to arthritic changes of your spine (long term) as well as pressure on nerves that cause pain and other unpleasant symptoms (short or long term). The fix: Treat your spine like you would your teeth, get regular checkups so that problems do not develop and so you’re not forced to endure unnecessary pain. 1. There is never a perfect time. Whenever I speak to people about exercise I always like to start with this. The longer you wait the tougher it is to get started. Begin today even if it’s just a little something to build your confidence and generate some momentum moving forward. 2. Pain and soreness are different. Soreness is an expected response after new or intense exercise and will subside usually within 1-3 days. Pain on the other hand is an abnormal response that can debilitate you in the short term and make you worse in the long term if you try to push through it. If you’re in pain visiting someone such as a chiropractor that can correct the problem is a good option. 3. Avoid stopping and starting. I speak to people regularly that get into a groove with exercise and then take weeks off at a time. The more you stop, the harder it is to start again and your progress will also suffer. Some weeks you may be able to do more than others but avoid the temptation to do nothing for extended periods of time. 4. Shake it up. Your body is an efficient machine. If you give it the same stimulus each time it has no reason to get stronger, faster or produce better results. For gym workouts vary your weights, workout order, exercises, rest between sets, etc. For cardiovascular training vary your distances, pace and terrain. Changing things up always produces better results. 5. Don’t get married to 1 type of exercise. Many people fall in love with a certain type of exercise they enjoy and ignore everything else. I know weightlifters that spend hours at the gym but forget that the heart is also a muscle and that cardiovascular exercise is important. Likewise, I know runners and cyclists that don’t understand that weight training would only make them more successful at those activities. Have a variety of exercise for better results. 6. Quality over quantity. There is a misconception that exercise must take hours at a time in order to produce results. This causes many people to avoid it altogether. The reality is that you can achieve excellent results in minimal time if you do it properly. I work out 4 days a week in the gym and my weight workouts usually only take me 20-25 minutes because I rest only minimally between sets (15-30 seconds) and never stop moving. 7. Intensity matters. While there’s no such thing as a bad workout, if you’re showing up to a gym and reading the newspaper for 5 minutes between sets your results aren’t going to amount to much. When you exercise focus on what you’re trying to accomplish and give it all your effort while you’re there. 8. Set a goal. People often set very generic goals such as weight loss or trying to have a better body. In my experience, the more broad the goal the less likely the chances of attaining it. What I encourage people to do is sign up for a race or an event. Doing so gives purpose to your training and motivates you to not show up out of shape. Even better, find an event out of your comfort zone and you’ll train harder and smarter than ever before. I’ve known far more people that have lost weight and built better bodies after signing up for 5Ks or mud runs than I have in making New Year’s resolutions. 9. Make it convenient. The best gym in the world won’t help you if you can’t make it there regularly. Select workout spots, types of exercise, etc that will make it the easiest for you to stay consistent. 10. Find someone that knows what they’re doing. I see people at the gym with great intentions that have no idea what they’re doing and are at risk for injuries as a result. Find a qualified trainer or someone with experience to show you some basics. This will give you confidence and lead to better and faster results. Difficult times will happen to us all. They can be emotional, physical, job-related, personal or take many other forms. Below are 7 strategies I’ve found effective for dealing with tough times of any kind. 1. Focus on solutions. Unfortunately life is not a linear curve of happiness and successes. There will be times when things will just not go right. Rather than dwelling too much on emotions, think about and focus on solutions. 2. Don’t quit. When facing difficult circumstance there is a temptation to quit or stop giving the same effort. Many great accomplishments are won by attrition – so refuse to stop showing up and giving all you have because you never know when things will suddenly turn in your favor. 3. Remember your why. Tough times are road blocks on the way to fulfilling goals – weight loss, happiness, promotions, sobriety, etc. To prevent yourself from quitting, never forget why you’re going after that goal. One of my most powerful “whys” are my children – as long as the goal involves helping them or being a better role model for them than nothing stops me. 4. Compartmentalize and prioritize. Tough times often involve the buildup of many things happening at once, leading to a daunting feeling of having too much to handle. I find it best to pick the most important task and give it all I have until it’s completed (if possible). During that time I give no thought to the other tasks on my plate because it will only distract my focus and efficiency. 5. Take a time out. When we’re facing difficult circumstances there is a tendency to carry negative feelings with us like baggage. In order to avoid having these feelings overwhelm us, it is important to have some place or some time to get away from them. For me, when I’m with my two sons I refuse to let outside stresses affect our time together. Secondly, I use long runs as a way to clear my head and get away for a while. 6. Focus on a reward. Sometimes the best way to get you through a tough time is to focus on some sort of prize at the end. This past weekend I ran a grueling 31 mile race and was in pain for much of it. To keep me moving forward I focused on how I would enjoy myself after the race – eating a certain food, going to see a movie I’d been dying to see and watching football and relaxing the next day. Rewarding yourself can make enduring tough times easier. 7. Get a new perspective. When we’re feeling overwhelmed our world can feel microscopic. This leads to a limited perspective and too much time in our own heads. I’ve found helpful to have someone I trust to act as a sounding board and then give me an objective opinion. More often than not, their honest feedback helps shift me back into a big picture focus. Are you committed to a great outcome? Ask yourself these 4 questions. In life there are goals we know we can reach and those that we have a desire to reach but will not come easily. For the latter there are steps that must be taken and questions that need to be asked if we’re ever to get there. Today I’d like to share 4 steps I feel are crucial to achieving any major personal, professional or athletic goal. 1. Find your why. Motivation and inspiration are great for getting started. However, they are often easily forgotten once things start getting challenging or serious. Before you set out to achieve any goal you must honestly answer the question of why you want to achieve it. Is it money? Family? Self satisfaction? A desire to improve yourself? Once you’ve nailed down your why, quitting no longer becomes an option because your goal is personally tied to you in a more profound way which makes you willing to do whatever is necessary to achieve it. 2. Be willing to pay the price. To achieve anything worthwhile you’re going to have to sacrifice. I’ve had people ask me to help them lose weight in one sentence and then tell me they’re not giving up certain foods or habits in the next. These people will never succeed. The people that accomplish big things are those that are willing to adopt new strategies, eliminate old habits, adopt new ways of thinking, work harder, eliminate certain comforts and take risks. 3. Challenge your limit. Our society is set up for comfort and to a degree we all need it. However, overcoming challenges that fall outside of our comfort zone is ultimately what makes us more resilient and helps take us from “good” to “great”. Each and every time you push yourself out of a physical or emotional comfort zone your capacity for success grows by re-defining what you once thought of as difficult or normal. For example, your body tries to budget your energy output so it begins producing signs of fatigue at about 60% of your max physical output. If you never challenge that limit you will always get tired around the same time. However, if you aggressively push through that threshold and do your best to expend every bit of energy possible, your body develops a new frame of reference for what tired is. This will train your body to go past that 60% mark allowing you to create more speed, endurance and power going forward. Challenging any limit physically or emotionally works exactly the same way. 4. If you’re stalled, get help. On the path to a goal it is not uncommon to find ourselves stuck due to lack of knowledge, lack of experience, personal baggage or old habits. Sometimes we simply just don’t know what we don’t know. Rather than quit or begin making excuses, enlist the help of someone that can help you. Those with experience that have overcome problems you’re having are excellent examples of people that can assist you when your momentum stalls. Admitting you need help to achieve a goal does not make you weak; rather it is a sign of how committed you truly are. I run difficult races often and am used to pushing my limits. 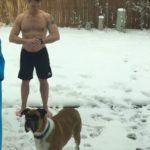 I’ve competed in 24 hour events, run ultra-marathons, endured hypothermia and pain. At the end I’m usually left feeling satisfied with my performance. This past weekend I did a race that was different for me. It was a 13.4 mile race that started on flat ground (by Colorado standards) and then climbed about 8,000 feet before finishing at the top of a mountain 14,115 feet above sea level. For the first ¾ of the race I had my “A-game”, felt great and was enjoying the experience. Then at about 13,000 feet with about 3-4 miles to go, it began – acute altitude sickness. Apparently my East coast upbringing did not like me being so high up. From that point on I couldn’t go 50 feet without vomiting which then led to excruciating muscle cramps from an electrolyte imbalance. I had zero energy, couldn’t even hold down water and try as I might, could not generate any momentum. It felt like a combination of exhaustion mixed with having the flu so bad you want to sleep on the cold bathroom floor. Even worse, once you’re up that high there are no trees or shelter so I could only drag myself to the side of the path and listen to “are you ok?” about 1,000 times as runner after runner passed me. It took me 3 hours to trek those final 3 miles and all the goals I had for the race were gone except one. I finished. On your best day things will happen almost effortlessly and produce tremendous results. The question is how will you react on your worst day? How will you respond after a failed relationship, loss of a job or a business venture gone bad? Will you give up or defiantly keep moving forward? I felt embarrassed after that race until my 5 year old asked about it. I told him I got very sick and ran slow and he responded “but I know you finished, because you never quit.” That changed my perspective instantly. I wasn’t embarrassed anymore; I was proud. Your worst days will teach you much more than your best. You’ll learn what you’re made of, become more resilient in daily life and appreciate the good times more. So the next time you’re forced to endure one of those days, embrace what it will teach you; I did. 1. Seek to thrive, not just survive. I remember someone telling me when I was in my early 20’s that you never wanted to be the guy just getting by. Do some soul searching, find out what you want most out of life and go after those things with everything you have. Set your standards high and don’t accept “normal” as the gold standard because normal often just equates to average. 2. There are 2 problems the body can have – too much or too little. Think of any health problem you’ve ever had – physical, nutritional or emotional and it’s likely you can classify it into either of these extremes. From identifying too much sugar or too much drama to not enough exercise or healthy food; balancing these levels leads to amazing benefits and breakthroughs. 3. Genetics are an over-used excuse. The vast majority of your health does not come from genetics. For example, the American Cancer Society reports that only 5-10% of all cancers are genetic. Commonly what we inherit are bad habits rather than bad genes. Regardless of what you inherited from mom and dad, your choices are what will most impact your outcomes. 4. Your body needs adequate nutrients. It is recommended that we get between 7-13 servings of fruits and vegetables a day to sufficiently power the processes of the body. The average American gets about 1 (it varies depending on area). Inadequate nutrient intake can cause a negative cascade effect of many systems within your body (immune, circulatory, nerve, etc). Add in more fruits and veggies and avoid this. 5. If you don’t use it, you’ll lose it. Motion is like lotion to your body. If you’re not consistently exercising than your body is breaking down faster than it should. Commit to at least 4 days of physical exercise a week and be active as much as possible. I also recommend utilizing care such as chiropractic to ensure your body is properly equipped and prepared to exercise. 6. Thoughts are important. On brain wave scans, positive thoughts are shown to create energy while negative thoughts do the opposite. The average person has between 12,000-70,000 thoughts per day and sadly 80% are negative or self limiting! Do your best to engage yourself in more positive talk, gratitude, etc and you will train your mind to work for and not against you. 7. Be about action. Complaining is the ultimate waste of time and energy yet some people wield it like a superpower. When times or situations get tough, direct your energy toward developing solutions and finding answers rather than whining and wishing. 8. Consistency is king. Whether weight loss or ascending to a higher position at work, it never happens overnight. The key is to continue to do the right things repeatedly day in and day out. That type of consistency can change anyone’s life in a profound way.